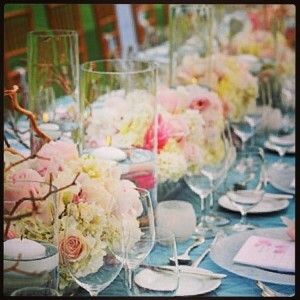 There are so many different things to remember and consider when planning your wedding. Everyone will give you advice on what to do and it can be information overload. 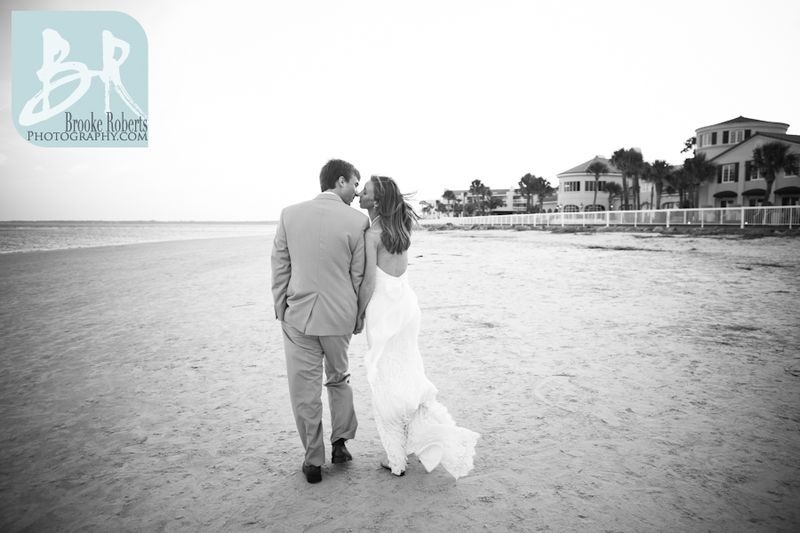 Here are some top “Do’s and Don’ts” from our wedding experts. Do: Double-check the wording on your invites several times and have someone proof-read them to make sure all information is correct. Do: Order a few extra invites just in case you forget to add someone to your list. 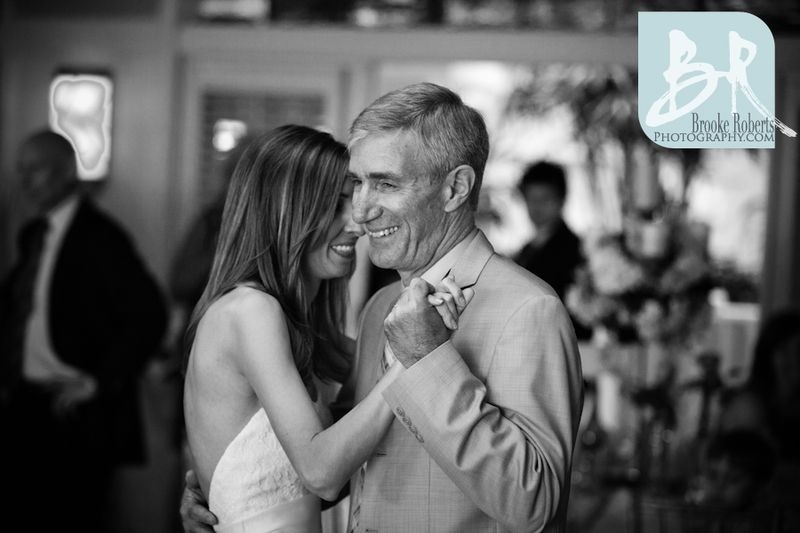 Don’t: Include your registry information in the wedding invites. This information should go out with bridal shower invites or save the dates. 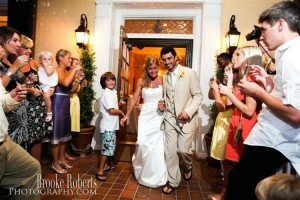 Do: Clearly communicate your budget with your partner and anyone else involved in the financial aspect of your wedding. Do: Make a budget and stick to it! Don’t: Ask guests for monetary gifts. Don’t: Overextend your bridal party. They may be on a budget as well. Make sure everyone is clear on what they are expected to pay for (if anything). Do: Have someone else do your hair and makeup. You will be too nervous! Do: Make sure to do a trial run with hair and makeup prior to your wedding day. Take photos when you are finished and bring them with you to ensure that you look as beautiful as you did on your trial run! Don’t: Look drastically different from how you look every day. Don’t: Look like a lobster (or an orange). Work on your tan well in advance. Or, test out your spray tan before the big day. Do: Set up a time for a menu (and cake) tasting prior to your wedding day. 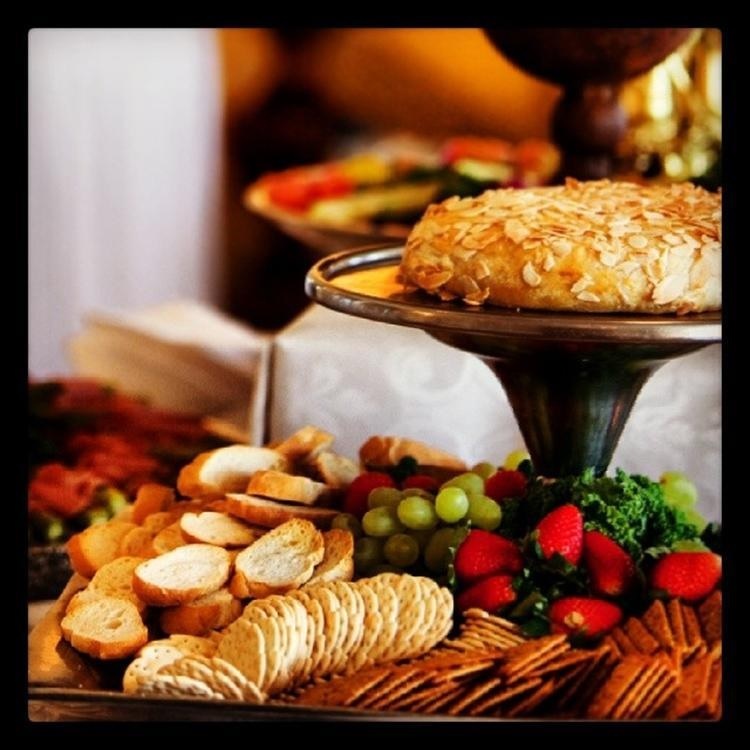 It is important that you are completely satisfied with the food at your reception and it is also a good time to clearly communicate with your caterer. Do: Offer a vegetarian entree option. Do: Seat older guests away from the music or the DJ. 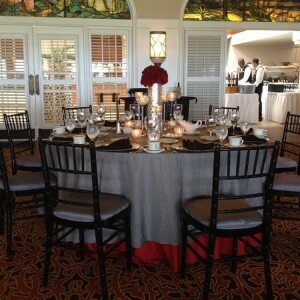 They may not enjoy the loud music as much as the other guests and may be happier talking to the others at their table. Don’t: Drink too much. You’ll regret it. Don’t: Go over 4 minutes when delivering a toast. As a rule of thumb, ask the bride and groom is there is a certain time allotted for each speech. Do make sure that when you are planning your wedding, you are happy with the choices you have made. 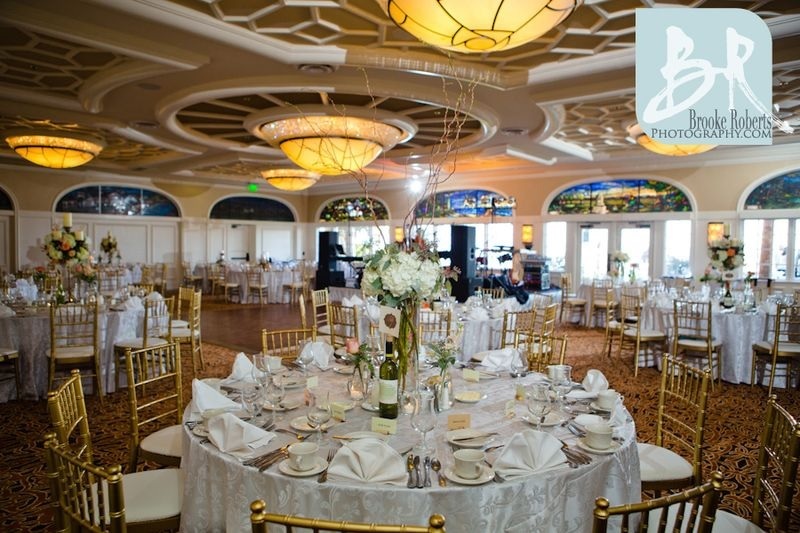 If you have any questions about planning your wedding or would like to learn more about weddings at our oceanfront resort, visit our website. 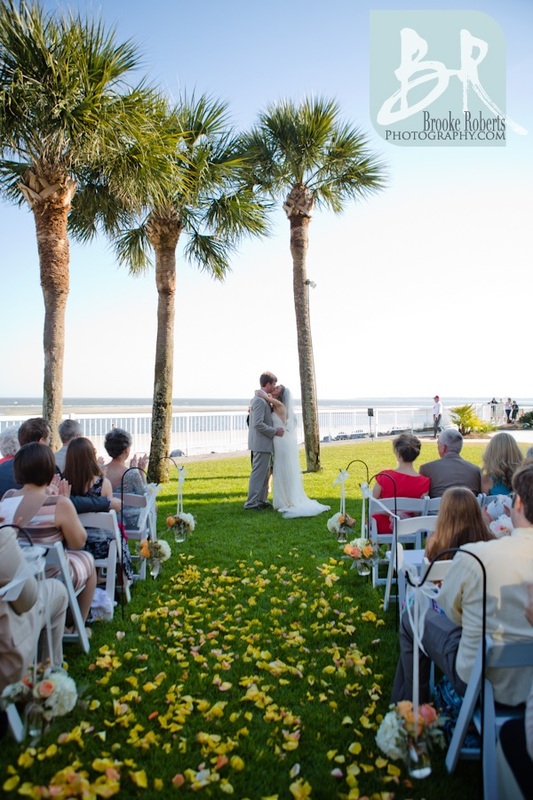 On a beautiful spring day, Erin & Chris were married in an oceanfront ceremony at our historic resort. 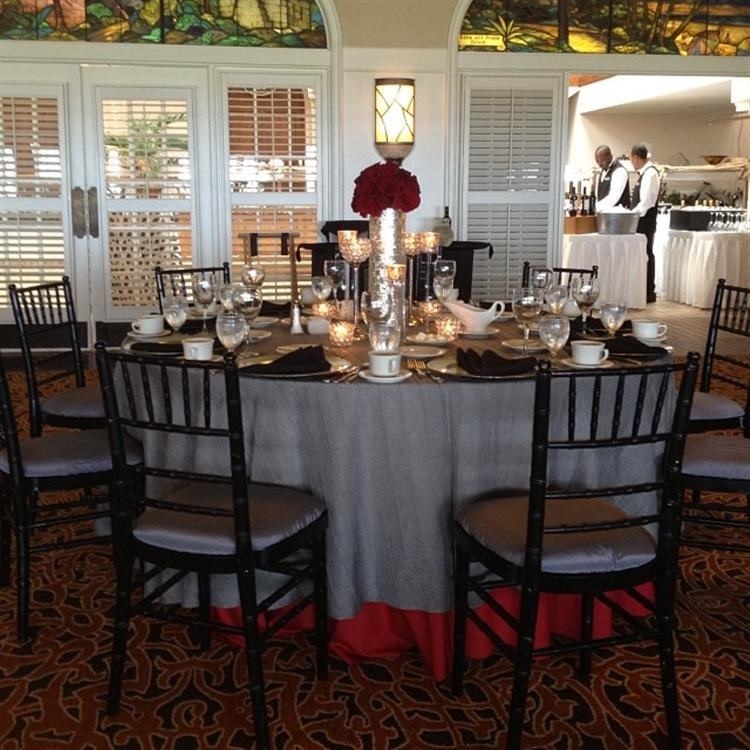 A reception followed in our newly-renovated Delegal Dining Room. 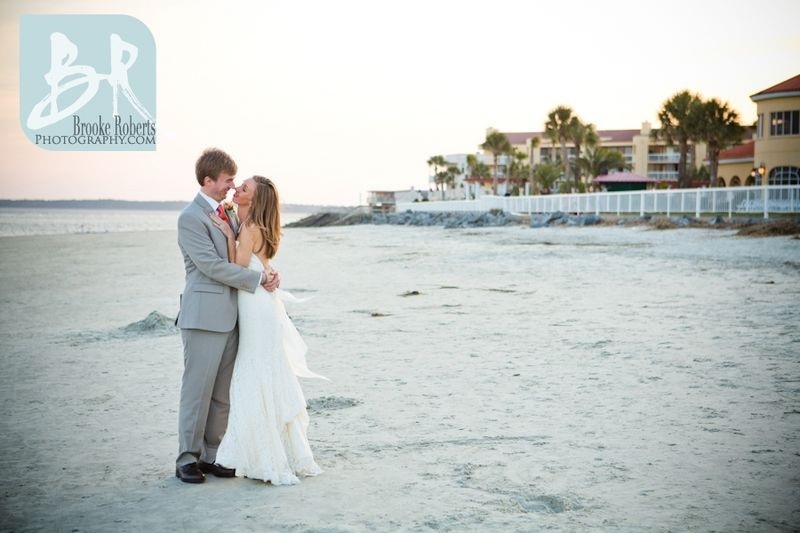 Photographer Brooke Roberts captured their special day with these beautiful images. 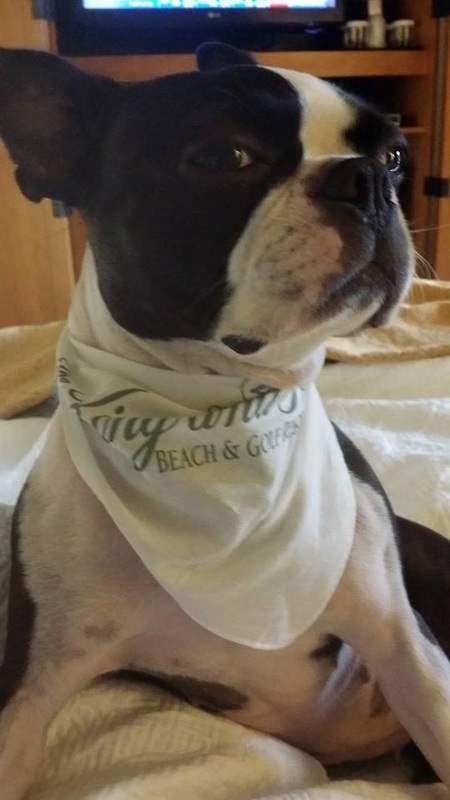 Book a Pet-Friendly Hotel and Bring Your Dog to the Beach! Our guests asked for it and, we heard you! Our resort now welcomes dogs up to 50 pounds! Bring your whole family to the beach….including your pup. Fido will even get a special welcome gift! Dogs are permitted in the Wynn Cottage, Familia Meadows House and select rooms in the Oleander Building. A pet fee does apply and hotel staff must be notified in advance that your pet will be joining you on your trip. For more information, visit our dog-friendly page! A good manicure can add that extra sparkle to your wedding day. Here are our picks for the perfect way to add sparkle and shine to your big day! 1. This manicure adds a new twist to the traditional french manicure. 2. Add lace for a touch of elegance. 4. 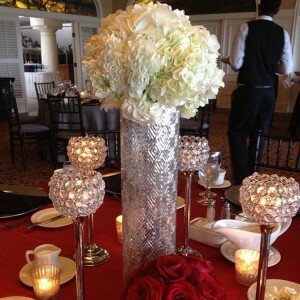 Add some sparkle to your big day. 5. 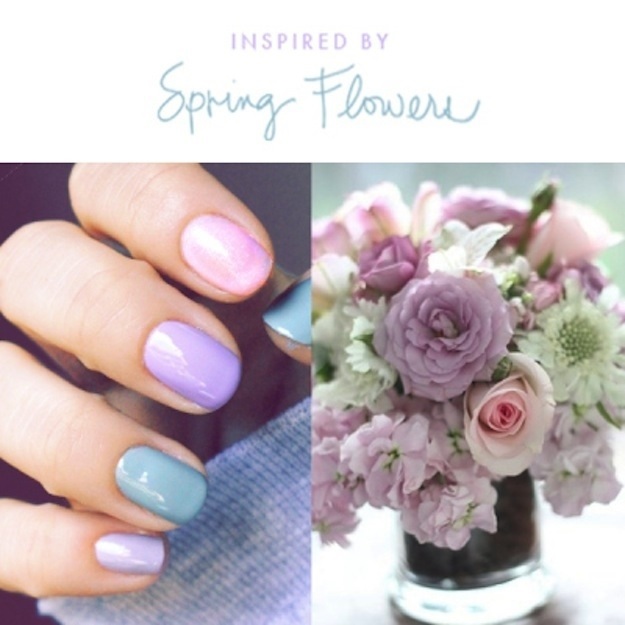 Try a manicure that complements your bouquet. Join us February 5th-8th, 2015 for a women’s retreat where you can discover your “inner voice” for a better understanding of your higher self. 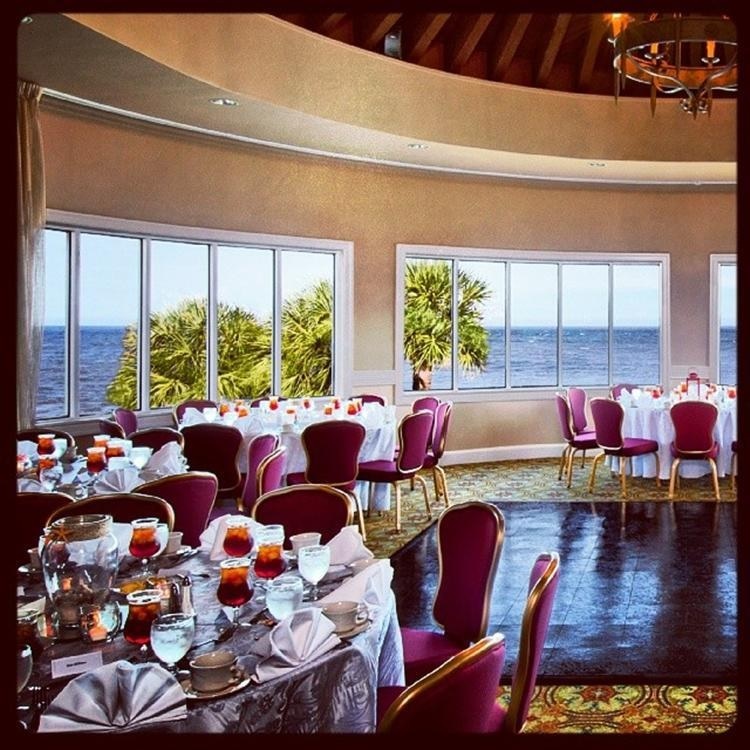 Our tranquil oceanfront setting is a perfect place to work from the inside out. The weekend will be guided by Master Pilates Instructor/Exercise Physiologist Marie Artman, M.Ed and Esthetician/Aromatherapist Donna Mastrianni, L.E. The four day Women’s Wellness Weekend event will guide each guest to strengthen and align their body through proper movement. Senses will be heightened during aromatherapy classes. Learn the difference between synthetic and natural essential oils and how they can help you, your family, and pets in daily life. Additionally, each afternoon is open to enjoy the local history and natural setting that St. Simons Island and The King and Prince offer. To learn more about the weekend, visit our website. Or, to embark on your pathway to wellness, reserve your spot by calling 1-800-342-0212. Join us this Thanksgiving for a buffet with all of the traditional favorites as well as some delicious coastal cuisine. 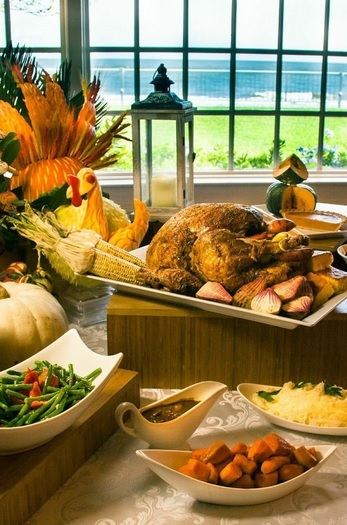 This year, our Thanksgiving buffet will be from 11am to 7pm on Thursday, November 27th, 2014. Adults are $59 per person, Children ages 8-12 are $24 and children 7 & under are complimentary. Reservations must be made in advance by calling 912-268-5967. The menu includes: assorted salads, a seafood display featuring oysters, crab legs, shrimp, salmon & tuna. There will also be a carving station with turkey, prime rib & ham as well as all of your favorite Thanksgiving sides. To view the full menu, visit our website. Wedding guestbooks have come so far since the days of signing pages in a large book that nobody really looked at after the wedding. The term “guestbook” is used loosely these days to encompass all of the many creative ways you can have your wedding guests sign their names on a keepsake that you will treasure and display in your home. 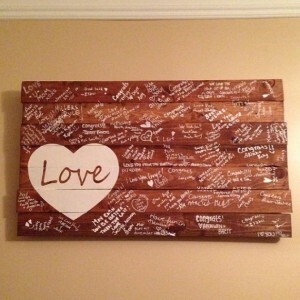 Here are a few of our favorite guestbook ideas for your wedding. For more wedding ideas or to learn about having the wedding of your dreams at The King and Prince Beach & Golf Resort, visit our website. Simple Initials– Purchase a large wooden letter of the initial of your (soon-to-be) last name, paint it and ask your guests to sign it. No matter where you display it, you’ll always look at it and be reminded of that joyous day in your life. Rustic Keepsake Box– Create your own rustic keepsake box (or purchase one) and display it at your reception along with blank postcards. Ask your guests two write a message to you on a postcard and place it in the box. On your first anniversary, you can re-live the wedding by reading the postcards together. Signature Tree/Fingerprint Tree Wall Art– For those of us who are artistically challenged, there are many places on Etsy where you can purchase wall art for your guests to sign. 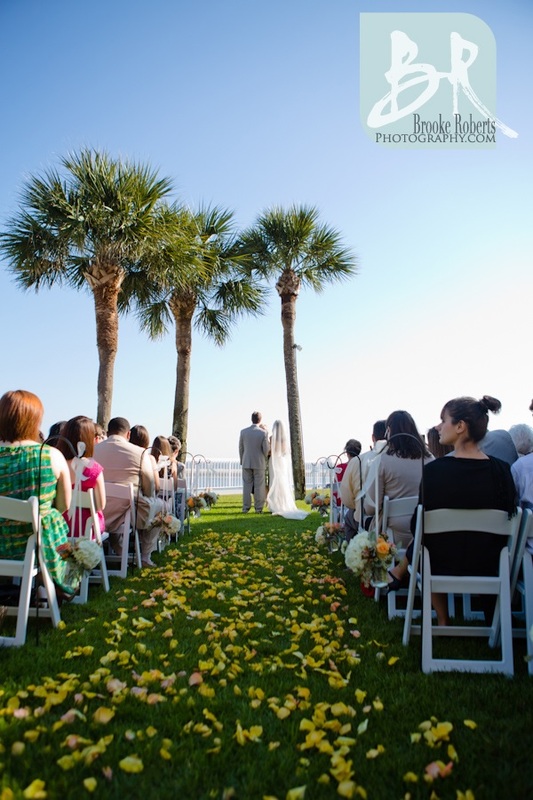 This personalized signature tree is one of our favorites. Another option is to create a fingerprint tree (with the fingerprints as the leaves). 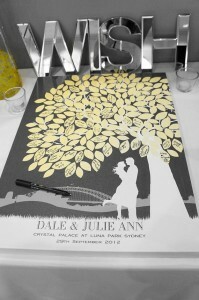 Each guest makes a fingerprint for a leaf of the tree which creates a stunningly unique piece of artwork to display in your home. Create a Personalized Guestbook with Photos of the Couple– Use the popular photo site Shutterfly.com to create your personalized guestbook complete with fill in the blanks and lots of space for your guests to write you well wishes! Rustic Sign– Create your own or purchase a wooden sign-either something personalized or with a quote printed on it. Ask your guests to sign the artwork for you to display in your home!